The late fifteenth and early sixteenth centuries saw an unprecedented period of religious and political upheaval in the form of the Reformation. The Reformation was a culmination of events and circumstances, both here and abroad, which led to a seismic shift in the religious framework of Britain. Its roots, certainly in England, can be traced back to the previous centuries and the rise in the influence of the mass populace engendered by the plague, as discussed in the previous section. The Reformation was a by-product of emerging capitalism: wealth, urbanisation and education. Whilst still a minority, the literate laity were often better educated than many priests who claimed to be the path to salvation (while taking their money in taxes). And they resented it. A fuller account of the general history and impacts of the Reformation can be read at this link, however for the purposes of clarity this section will concentrate upon the ramifications for Weddington and its Castle. For the inhabitants of Weddington this would have been a time of religious confusion following Henry VIII's excommunication from Rome, with pendulum swings from Catholicism to Protestantism and back. Whilst much of the region would, at the time of Henry Grey's ownership of Weddington, have been Catholic-leaning, Henry was to become sided with the fiercely Protestant Duke of Northumberland whose son (Lord Guildford Dudley) was married to Henry's daughter, Lady Jane Grey. This situation was to prove fatal for both Henry and his daughter. Jane was the great-granddaughter of Henry VII through her mother, Lady Frances Brandon. In October 1551 her father, Henry Grey, was created Duke of Suffolk and Jane became a familiar face at court. There, real power lay in the hands of the Duke of Northumberland, who acted as regent to the young King Edward VI. In May 1553 Jane was married to Northumberland's son, Lord Guildford Dudley. With Edward known to be dying, Northumberland needed to secure the succession in such a way to save England from the Catholic Mary Tudor, Edward's half-sister and rightful heir. An alternative was needed. A devout Protestant and his own daughter-in-law, Jane was the natural candidate. Northumberland persuaded Edward to declare Mary and Elizabeth illegitimate and passed the crown to Jane. She is reported to have fainted when she first heard the idea. Edward died on 6th July 1553. Four days later, Jane was proclaimed queen. 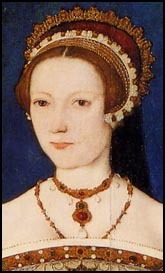 However, Mary Tudor had widespread popular support and Northumberland's moves were strongly opposed. By 19th July, even Henry, Duke of Suffolk had given up and attempted to safeguard his position by proclaiming Mary Queen. Northumberland's supporters melted away and Suffolk easily persuaded his daughter to relinquish the crown. Once Queen, Mary put Jane and her father in the Tower of London. 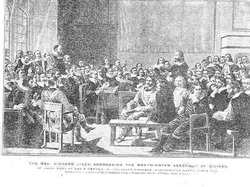 While Suffolk was pardoned, Jane and her husband were tried for high treason in November 1553. She pleaded guilty and was sentenced to death. The execution of the sentence was suspended, but the participation of her father in Sir Thomas Wyatt's rebellion in February 1554 sealed her fate. She was beheaded with her husband. Henry Grey's attempts to save himself proved futile however, and he was beheaded two days later on the 23rd February 1554. 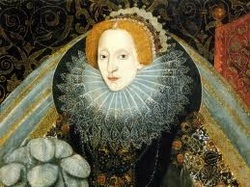 Thus, by Elizabeth I's accession to the throne in 1558, the eventful tenure of the Grey family's time at the Weddington estate had come to an end and the holdings of the Greys were distributed amongst the Queen's own favourites. In the case of Weddington, the land and Castle passed in 1561 to John Cholmely and Humphrey Adderley, Earl of Huntingdon - the Groom of the Queen's Wardrobe (this was literally a large store-house. In Elizabeth’s time this area chiefly concerned the Queens clothes, clothes for her ladies, the order of the garter, liveries for over 200 servants, and workshop areas for her artificers. Up to 36 men might be working in the great wardrobe at any time. Several locations comprised the great wardrobe including The Tower of London, Whitehall, and Somerset Place). Records show that in this year one of the lessees from the Crown, a Mr Trye, was given the task of rebuilding the still desolate Weddington village and "made inhabitations fit for husbandry", although it seems this had little success at the time and Weddington is recorded as decaying again by 1563. 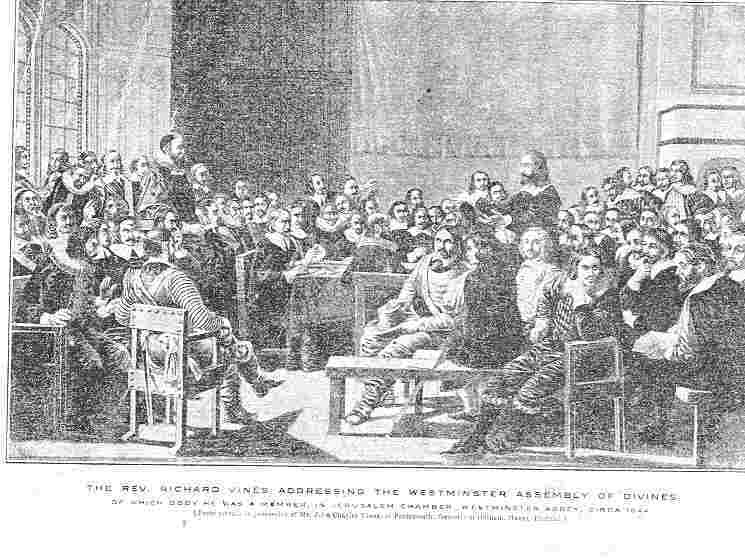 Furthermore, in 1608 the Court of Star Chamber had before it gentry who were concerned about the "destruction of houses and conversion to tillage" of eighteen villages, including Weddington. Humphrey Adderley gradually acquired all the manorial rights at Weddington, and these were passed on to his son Humphrey Adderley II when he died, aged 76, on the 29th July 1598. Some records refer to the original mansion house being built at Weddington during this time. When Humphrey Adderley II died on the 10th November 1637, he left behind a son (Humphrey) and a daughter (Katherine). Katherine married the Puritan Divine and Greek scholar Richard Vines. On the death of James Cranford (1627) Richard Vines was presented to the rectory of Weddington, Warwickshire, and instituted on 11th March 1627-28 and it was during this time he married Katherine. In 1630 he was presented by William Purefoy to the neighbouring rectory of Caldecote, was instituted on 10th June, and held both livings worth together at £801 a year; although the parish register at Hinckley shows that he was still living there in 1640. Records of the time show that he was a gifted and influential preacher, and a sermon made before the House of Commons in 1642 made a great impression. This was a period of great political and religious unrest however, culminating in the English Civil War, and Richard was forced to take refuge with other Puritans in Coventry in 1643. Despite this, the following year he was made Master of Pembroke Hall, Cambridge, where he showed himself to be a good administrator and promoter of learning. A wider overview of the Civil War and its impacts upon English society can be found at this link. Other than some moments of peril for Richard Vines, however, the ravages of the English Civil War were not too severe for Weddington, since the battles took place elsewhere. One notable exception was the skirmish at neighbouring Caldecote in 1642, when Prince Rupert of the Rhine came to capture the vociferous Parliamentarian MP for Warwick - William Purefoy, who lived at Caldecote Hall (pictured below). In 1642, Prince Rupert, a nephew of Charles I, had come with his troops from Holland to support his Uncle. He assembled them at Tuttle Hill, Nuneaton, with the intention of capturing Colonel William Purefoy, Member of Parliament for Coventry, and a staunch and active Parliamentarian. On 28 August 1642, he marched with his men against Caldecote Hall, but the Colonel was not in residency, so he lived to tell the tale. Nevertheless, a siege of the Hall ensued, and a number of Rupert’s soldiers were killed. Little did he know that the defendants of this prize, against his well trained soldiers, were just Mrs. Joane Purefoy, her maids, her son in law George Abbott, and eight men. The maids repeatedly loaded the armoury of twelve muskets. Rupert was thwarted by this sterling band, but succeeded in setting fire to the building to drive them out. The house was burned to the ground, but Rupert recognised the bravery of his opponents, and did them no harm. He even asked George Abbott to join his ranks, an offer that he declined. Weddington Church was also partially burnt down at this time, and the Prince's men probably burnt and looted as they passed from Warwick through Nuneaton in search of their quarry. Whilst Caldecote Hall has now been converted into flats, its impressive exterior can still be seen at our sister website www.caldecotehall.org.uk. Meanwhile, the ownership of the Castle passed uneventfully down the Adderley line. Humphrey Adderley III became the beneficiary of Weddington manor in 1637, although he died two years later, leaving the estate to his son, John. John Adderley died in 1662 and the manor (then consisting of a population of around 30) was conveyed to Jane, his widow and Wolsten, his son, in 1667.